Bentley Suffolk Shearling Rams are bred predominantly for the Commercial farmer. This flock is lambed in March/April and immediately turned out to grass. 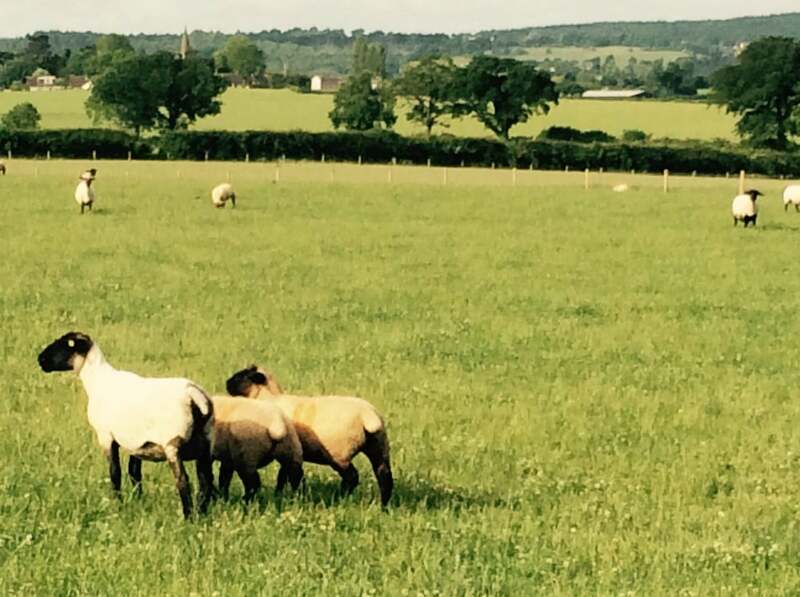 All lambs are reared and recorded on grass alone. Our aim is to breed stock that can grow and finish as quickly as possible from forage. Functional traits such as lambing ease, lamb vigour, foot structure, lameness, mastitis and dirty back ends have been and continue to be rigorously selected for. New Zealand Suffolk genetics have been used to improve these traits with success. Once these are satisfied, EBVs are used to focus on improving growth rates, muscle depths and maternal ability. We have successfully introduced the Myomax extra muscling gene to fast track improvements to muscle depth and conformation.